If you love your newborn child and believe your child has suffered a birth-related injury because a doctor misused or never should have used forceps, you have already gone through so much. But you do not want sympathy. You want to do figure out what you can do for your child. Does that involve trying to get as much money as you possibly can to care for your child? It absolutely does. There is a formula to calculate the damages in these cases. It is all of the expected medical bills and ongoing care costs over a lifetime plus the child's noneconomic pain and suffering damages. While the settlement formula is easy to state, it is hard to know what numbers to put into the formula to make the calculation. To make this determination, we need to bring aboard a number of medical experts to offer their opinion on what expenses and needs your child will have. To synthesize those numbers, we need a life care planner and an economist who can calculate the costs of this care. In birth injury cases, the cost of medical care can sometimes approach or exceed $50 million. These are big, important cases and you need the best birth injury malpractice lawyer in Maryland, and you need medical experts and economics experts that can stake out your claim to the doctors and hospital's attorneys and, if necessary, a jury. One great tool to help understand the value of your case is prior settlements and verdicts in other forceps birth injury lawsuits. These are a powerful tool in understanding the settlement value of your case. That said, take these all with a grain of salt. You cannot summarize a case in a paragraph, and you cannot look at a seemingly comparable case and assume you will get the same result. One case just cannot predict another because there are just too many variables at play. So use these to gain a better understanding of the range of your potential settlement or verdict but keep in mind you need to use these in conjunction with other case evaluation tools to come up with the value of your claim. We do not have Maryland cases in recent years that have been reported although there have been many unreported cases. 2017, Pennsylvania: $42,000,000 Verdict. Mother goes to the hospital to deliver her baby. After one push, the OB/GYN handling the delivery decides to use forceps. He pulled four times in spite of the fact that using a vacuum at such so early in labor is counterindicated, as the doctor even admitted. Within a few hours, the infant exhibited signs and symptoms of intracranial bleeding and pressure. Tragically, the now 5-year-old boy is confined to a wheelchair, is not expected to be able to read and write. He also has executive brain function injuries that cause an easy to activate temper. He has also had to endure six brain and spinal surgeries. 2016, Nebraska: $11,520,000 Verdict. A woman is a patient at defendant hospital. While giving birth to her infant, defendants fail to properly use forceps and fail to monitor the mother and her baby. The infant is delivered with forceps, during which he suffers a trauma-induced lack of oxygen to his brain, causing permanent neurological impairment and seizure disorders. His mother files this claim against the doctor and hospital. The defendants deny liability and argue that the infant's injuries were caused by an intrauterine stroke. A jury awards the mother and baby $11,520,000. This was the rare case when the verdict was delivered by a judge instead of the jury. 2016, Illinois: $11,000,000 Verdict. A 34-year-old woman is under the care of defendant when she endures an excessively long second stage of labor, followed by a forceps delivery. During the delivery, the woman suffers a fourth-degree tear, which is not repaired immediately. The tear becomes contaminated and subsequent attempts to repair the wound fail. The woman files this claim against the OB/GYN and hospital, alleging that he improperly performed a forceps delivery, caused a fourth-degree perineal laceration during the improper forceps delivery, failed to recognize and immediately repair the laceration, and failed to perform a C-section. A jury awarded the newborn child, the woman and her husband $11,000,000, which was later tragically reduced to $1,000,000 due to a high-low agreement reached before trial. 2016, Texas: $10,200,575 Verdict. 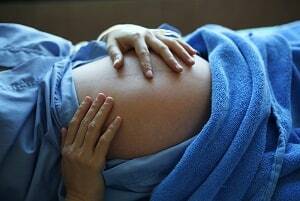 A woman 40 weeks pregnant goes to the hospital with contractions. She is placed on Pitocin, which is discontinued due to fetal response. Pitocin is later resumed and increased. An hour later, the fetal heart monitor indicates that the infant is in distress, and the defendant is instructed to stop the Oxytocin. Defendant doctor disagrees with this and instead orders a nurse to increase the dosage. An expedited vaginal delivery is attempted a few hours later, during which defendant uses forceps three times three times in an attempt to extract the baby. Cracking noises are heard. After he is unsuccessful with the forceps, the infant is delivered via C-section. She is born limp and unresponsive and is diagnosed with a lack of oxygen to her brain. Five days later, the infant is taken off life support and passes away. The woman files this claim, alleging that the use of forceps caused three-inch fractures on each side of the infant's skull and damaged the vertebral arteries. She also claims that defendant used excessive force with the forceps. A jury awards the woman $10,200,575, which is ultimately reduced to $750,000 due to the state cap on medical malpractice awards. 2016, Alabama: $600,000 Settlement. Plaintiff receives prenatal care from defendants. When she is 35 weeks into her pregnancy, her membranes spontaneously rupture and she goes to the hospital. Her doctors induce labor early in the morning. That evening, defendant uses forceps to aid in delivery, but he is unsuccessful. He then uses a vacuum and delivers the baby's head. Shoulder dystocia is encountered, and despite many attempts, defendant does not have success in delivering the baby. Just prior to delivery the fetus suffers fetal stress, and the baby undergoes resuscitation after birth. He has a fractured left humerus and lab results reveal an injury due to lack of oxygen to his brain. A later CT scan reveals a left hemorrhage in his head, for which the infant is hospitalized for almost two months. The parties settle for $600,000. 2015, Massachusetts: $6,250,000 Settlement. Plaintiff is pregnant with her second child. A month before her due date, she goes to the hospital as her membranes spontaneously rupture. There is clear fluid and she has no contractions. The woman is placed on fetal monitoring under the care of defendant nurse and defendant obstetrician. Twelve hours later, fetal monitoring shows an increase in the infant's heart rate, however, defendants tell her she is doing well. She alleges that both defendants are aware of the concerning fetal monitoring but do not take any steps. They deliver the infant, with forceps a few hours later, and he immediately has respiratory issues. A feeding tube is placed and he is diagnosed with a global brain injury that leaves him unable to speak or walk. The woman files this claim, and defendants argue that the infant's injury was suffered prior to the woman's arrival at the hospital. The parties settle for $6,250,000 prior to trial. 2015, New York: $1,150,000 Settlement. Plaintiff is 34 weeks pregnant when defendant OB/GYN attempts to deliver her infant naturally. Several hours into the delivery he uses forceps and a vacuum. The infant suffers a subdural hematoma and hemorrhage, causing brain damage. This results in language deficits and cognitive disabilities. The woman files this claim alleging that the defendant breached the standard of care by using the forceps and vacuum improperly on a premature infant. The defendant denied liability but settled the case for $1,150,000. 2014, Texas: $400,000 Settlement. A woman goes to the defendant for labor and delivery. During this time, she requests a Caesarean section as her baby is large. Defendants ignore this request and instead use forceps to delivery the infant. As a result, the baby is born with shoulder dystocia and Erb's palsy. She files this claim and eventually settles the case for $400,000. 2013, North Carolina: $10,000,000 Settlement. A woman is giving birth to twins and she delivers the first boy without complications. The second infant, a girl, develops a prolapsed cord during the delivery of her twin. This results in a lack of oxygen requiring immediate vaginal delivery or a C-section. However, defendants allow the woman to continue labor. For the next hour, the girl develops a lowered heart rate. It is not until a third doctor is called in that an immediate delivery is recommended. Once this recommendation happens, the attending defendant doctor decides to perform a forceps delivery instead of a C-section. It then takes 15 minutes to locate the forceps. As a result, the infant suffers brain damage and cerebral palsy, requiring 24-hour care. The parties settled for $10,000,000. 2013, Michigan: $4,250,000 Settlement. A woman 35-weeks pregnant goes to defendant hospital as she notices slight bleeding. She has a history of three miscarriages. The woman is evaluated for premature membrane rupture and she is placed on a fetal monitor. Pitocin is administered to start her labor and is gradually increased. This results in excessive uterine activity and fetal heart decelerations. During delivery, the fetal heart rate monitor switches to the mother's heart rate, causing defendants to misinterpret the increase in heart rate. Defendants employ the use of forceps and misuse them as they struggle to extract the infant. The baby is born twelve minutes later with a bruised head and severe brain damage. He has a subdural hematoma and intracranial bleeding. The plaintiffs file this claim alleging the misuse of Pitocin and the negligent use of forceps. 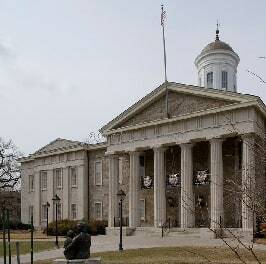 Defendants denied that the use of forceps caused the infant's injuries. The case settled for $4,250,000. 2013, Pennsylvania: $4,000,000 Verdict. Plaintiff is giving birth to her daughter under the care of defendant obstetrician. He attempts a forceps delivery but the baby's shoulder becomes impacted on the woman's pelvic bone. Defendant uses various maneuvers to deliver the child, but she is deprived of oxygen for three and a half minutes. As a result, she has mild cerebral palsy, struggles with balance issues, and has speech delays. The woman files this claim against the OB/GYN, alleging the failure to perform a C-section instead of delivery via forceps. A jury awards the woman $4,000,000. 2012, Illinois: $14,128,008 Verdict. Plaintiff is 41 weeks pregnant with her son. She goes to defendant OB/GYN who tells her to wait until the next morning to go to the hospital and have her labor induced. The next morning, the woman endures 18 hours of labor, induced by Pitocin, and she develops excessive contractions. The fetal heart rate becomes abnormal, but the delivery is delayed. Defendant attempts to use a vacuum and forceps to deliver the child, but has no success. The woman sustains multiple lacerations from the forceps prior to delivery the child. Her son is eventually born via cesarean section after he shows signs of distress. After birth, the infant is found to have brain damage. As a result of the brain damage, he suffers from seizures and cognitive deficits. The woman files this lawsuit against the hospital and OB/GYN alleging negligence during the birth process. A jury awards her $14,128,008. 2012, Indiana: $4,100,000 Verdict. A woman is giving birth to her son under the care of defendants. During the delivery with the use of forceps, an excessive amount of traction is placed on the infant's head and neck. Defendant fails to properly determine the fetal weight and opt for a C-section as an alternative to vaginal delivery. After the delivery with forceps, the infant is diagnosed with a nervous system injury, a high probability of permanent neuropathy in his right arm, and multiple rib fractures. His parents file this claim, alleging that the defendants were negligent due to the delivery method and amount of traction used. A jury awards them $4,100,000. The reward is later reduced to $1,250,000 due to the statutory cap on damages. If your child has suffered a birth injury or you yourself suffered an injury and you believe that harm stems from the misuse of forceps in the delivery process, call Ron Miller or Laura Zois today and let's talk about your options. We have a track record of success in catastrophic injury cases and we want to help you get compensation and justice for you and your child. Call Miller & Zois today and speak to our birth injury medical malpractice attorneys at 800-553-8082 or get an online case evaluation. A lot of these forceps cases involve Pitocin because forceps and Pitocin misuse seem to go hand-in-hand. Why is this? Doctor and nurses can make compound mistakes when the pressure is on during a more challenging delivery. This panic leads to both the misuse of Pitocin and forceps. These are sample settlements and verdicts in Pitocin related birth injury cases. You will see forceps cases in this list just like you see Pitocin case on this one.